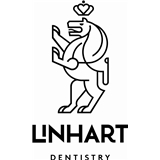 Linhart Dentistry (New York) - Book Appointment Online! Dr. Jan Linhart has been practicing the art and science of dentistry for over 30 years! Now joined by his son, Dr. Zachary E. Linhart, they strive to provide each and every patient the best possible dental care. In their convenient state-of-the-art practice, Dr. Jan and Zachary Linhart and their interdisciplinary team of dental specialists can take care of all of your oral care needs. Best dentists I've ever been too. He is very personable and the staff is very friendly. Plus the dentist chair is a massage chair and you get to listen to the music of your choice via an iPad when they are working on you! Was referred to Dr. Courtney from Linhart Dentistry. She is great, couldn't be move satisfied. The whole office is the BEST!